This month the spotlight is on Jean McKiernan who is retiring from UI&U after a stellar 31+ year career. She joined the UI&U community on November 5, 1986 when it was named “The Union for Experimenting Colleges and Universities” and Dr. Bob Conley was president. She served under four presidents and eleven Cincinnati Center Deans. 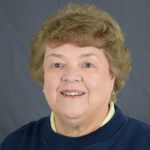 Jean has held many positions with Union including, Administrative Assistant in the Gantz Center, Learner Services Coordinator, Assistant to the Dean, and Associate Registrar. In the words of Registrar Lew Rita Moore, Jean has become synonymous with “Union Historian”, “Degree Plans”, World Traveler”, “Sailing Woman”, “Loyal Colleague” and “Friend”. Continue to read about Jean and her extraordinary career and life in the Q&A below. A. My years in higher education have allowed me to witness the transformative effect of a college degree. I’ve seen single mothers enter Union and against all odds graduate and become an inspiration for their children; I’ve seen people with tunnel-vision awakened to a wider world by exposure to general education courses; I’ve seen the future of entire families changed by their Union graduates. One of my joys in education has been assisting in Union’s national commencement by helping vest and line up the undergrads. Robing the BA/BS graduates was the last thing I could do for them as they left Union and moved on. A. Education offers the chance for folks to alter their lives – and sometimes that means not only the students but also the people who work in the field. Some friendships I developed in the 80s and 90s with former students and faculty have carried on to the present day.  A. I’ve enjoyed my years at Union and thank former Cincinnati Dean Katherine Cannon and the memory of 80s registrar Margaret Towe for seeing what a good fit Union and I would be. A. I’m never quite comfortable on an airplane. I am an avid reader, traveler, and sailing woman. Reading has often been the impetus for visiting far-off places, which can be difficult for someone uneasy on long flights. Yet I’ve seen the Chateau d’If, walked on Culloden Battlefield, visited the Forbidden City, crossed the Straits of Magellan, gone to mass in a pope’s private chapel, and prayed at both the Western Wall and Al Aqsa Mosque. In my forties, I became part of a group of women who wanted to learn to sail. We mastered the terminology, charting, and how to handle a sailboat without power. It can be intense, physical labor. Each summer we would sail the Madeline, a 92 foot replica of a 1840s cargo schooner, for a week on one of the Great Lakes. We did this for 15 years, including one year when we were part of a Tall Ships parade on Lake Erie. My group of ‘Sailing Women’ is still great friends and get together socially for various events. A. I’m not sure I have a current favorite book. As an adolescent and teenager, I read “The Count of Monte Cristo” each summer. My love of reading led me to an interest in a wider world and began my desire to travel. Q. What are your retirement plans? A. In addition to cleaning out closets and volunteering at the local historical society, I want to find lists and then read what are considered the 100 best books ever written and watching the 100 best movies ever made. Additionally, my husband and I plan to use the U.S. presidents as a jumping off point for travel by visiting all of the presidents’ birthplaces, burial places and presidential libraries. Today is the day to learn more about Union and the right career path for you.